Michael O'Neill, Northern Ireland manager. The Irish FA and leading sports fashion retailer JD have launched a new initiative which will offer kids at under 13, 14 and 15 levels the chance to become part of Club NI, the Irish FA’s Elite Performance programme. 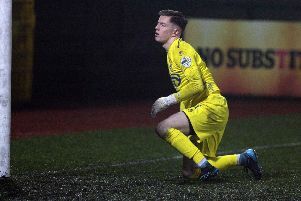 The aim of ‘Want To Play For Northern Ireland?’ is to uncover young talent who have the potential to represent Northern Ireland at future World Cups and European Championships. All kids need to do is download the IFA.JD app or enter instore at any of the 14 JD stores across Northern Ireland. Players will be invited to be part of training camps in May, before qualifying for further rounds in June and July. The camp comes to Londonderry on Sunday May 22nd and they will be under the watchful eye of Irish FA professional coaching staff. The coaches will then select eight to ten finalists for each age group to progress to a JD Club NI training camp which will be rounded off with a match against the current Club NI squad. Northern Ireland manager Michael O’Neill was full of praise for the initiative aimed at uncovering more young footballing talent for future Northern Ireland teams. He said: “When I was appointed Northern Ireland manager I had a very limited number of players to select my squad from. “I began to look very closely at the development pathway in place for our young players in Northern Ireland as this is fundamental to the success of our national team. The closing date for applications is 15th May 2016.